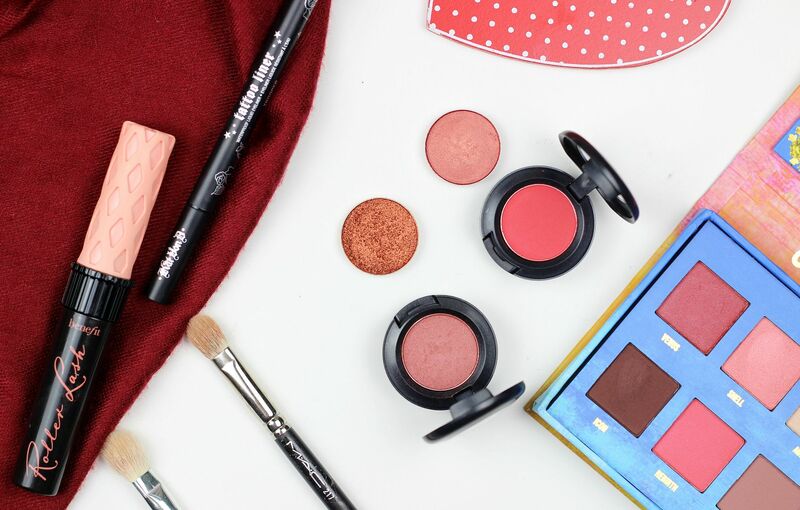 6 tips on wearing red eyeshadow without looking ill. Sometimes you want to wear red eye-shadow and not look like a crack addict. Red eye-shadow is one of those scary beauty products that can look so amazing when worn, but can also go wrong quickly. To keep things escalating too quickly and to avoid things looking like you’ve maybe just been having a secret cry in the bathroom, I have some tips. Wear lots of mascara. Mascara. And then maybe some more mascara. If you think you’re done with your mascara, you’re probably not and need at least 19 more coats. Mascara is just the magical step that takes your eyes from don’t to done. Wear liquid liner. If ever there was a time for the magic of liquid liner, it’s now. Have a little cat flick above your lash line, and red eyeshadow is suddenly so much easier. Conceal. Don’t feel. No, but take a ‘the more the merrier‘ attitude when it comes to concealer and red eye-shadow. I like to use a corrector (Benefit erase paste) and then a brightening concealer (Urban Decay naked skin) under my eyes, as this 100% cancels any shadows or redness. Use other shades. You don’t have to just use red. Use a bronze, or a chocolate brown, or a peach and then incorporate red into it. Sounds groundbreaking, I know. One way I use red a lot of the time is I’ll use something like MAC Woodwinked all over the lid and then buff a matte red into the crease and sort of smudge it out. This adds some warmth, and intensity, but without looking too red. Use some shimmer. If you’re using a red all over the lid, and not on a catwalk, go for something with shimmer. It’s way more flattering. Makeup Geek’s Flamethrower or MAC Cranberry spring to mind. Then use a matte brown in the crease and you’re onto a winner. Get some eyedrops. I think I might have a borderline obsession with eye drops to be honest, because I panic if there isn’t a bottle of the good stuff within reaching distance. Never underestimate the power of eyedrops, because they instantly makes your eyes look whiter and make them feel a million times more comfortable. If you wear contact lenses, and you don’t use eye drops… you need to reevaluate your life. I just use the cheap ones from Boots.